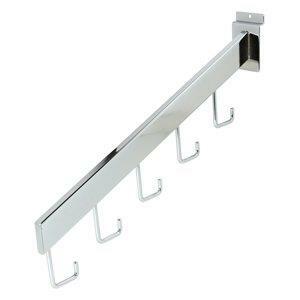 5 hook displayer used to display multiple garments on hangers. Rectangular tubing gives retailer a more upscale look. 24 per box.